RAMAT GAN, Israel (AP) — A nonprofit Israeli consortium said Monday that it hopes to make history this week by launching the first private aircraft to land on the moon. 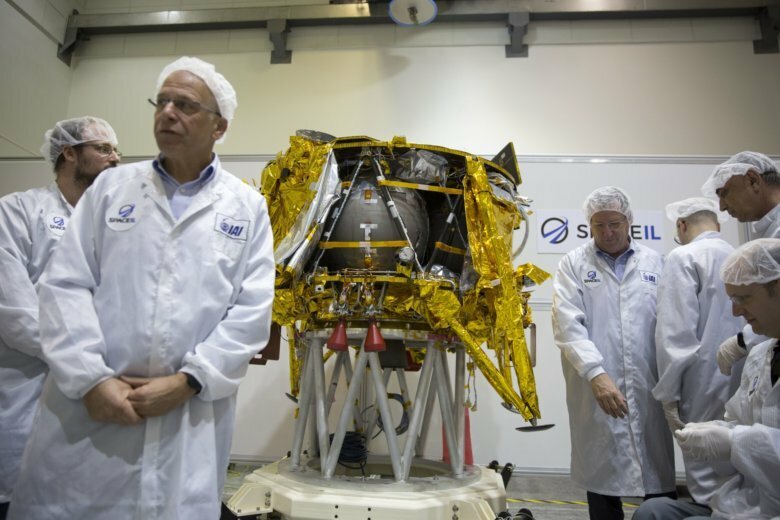 SpaceIL and state-owned Israel Aerospace Industries told a news conference that the landing craft — dubbed “Beresheet,” or Genesis — will take off from Florida, propelled by a SpaceX Falcon rocket on its weekslong voyage to the moon. SpaceIL CEO Ido Anteby and Opher Doron, general manager of the IAI’s space division, said the spacecraft will slingshot around the Earth at least six times in order to reach the moon and land on its surface on April 11. The small craft, roughly the size of a washing machine, is equipped with instruments to measure the moon’s magnetic field, as well as a copy of the Bible microscopically etched on a small metal disc. Israel’s space program chief Avi Blasberger said he hopes SpaceIL will create a “Beresheet effect” in Israel, akin to the Apollo effect, to promote science among a new generation. SpaceIL was founded in 2011 and originally competed for Google’s Lunar Xprize, which challenged private companies to try to land a robotic spacecraft on the moon. But the $20 million competition was scrapped by the tech giant last year when it became clear none of the five companies would meet a preset deadline.